Notch is the kind of person that gets offered loads of free stuff, it seems - but that doesn't mean he has to take it. 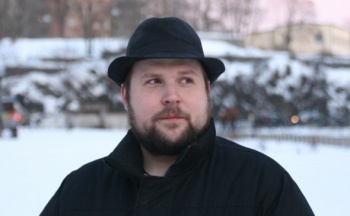 It's no secret that Sony has been doing its best to befriend indie developers, and Markus "Notch" Persson is about as high-profile as you can get while still keeping the "indie" label. So when Notch tweeted that he was about to pick up a PS4, Sony's VP of Publisher & Developer Relations Adam Boyes wasted no time in offering Notch his selection of PlayStation games. Notch's response: no thanks, he'd rather reward the developers and buy them on his own. "I have a fun project, a PS4 is waiting for me, it's Formal Friday at Mojang, and it's our glÃ¶ggpremiÃ¤r," Notch tweeted. "It's going to be the best day ever." From the sound of it, Notch certainly doesn't have anything against Sony or its offer - but as a game developer, it's an understandable decision. Besides, Notch can certainly afford to buy a game or two, after the success story that was Minecraft. Minutes later, however, Notch swallowed his pride and did request one game. "Wait, changing my answer," he tweeted. "Half-Life 3."